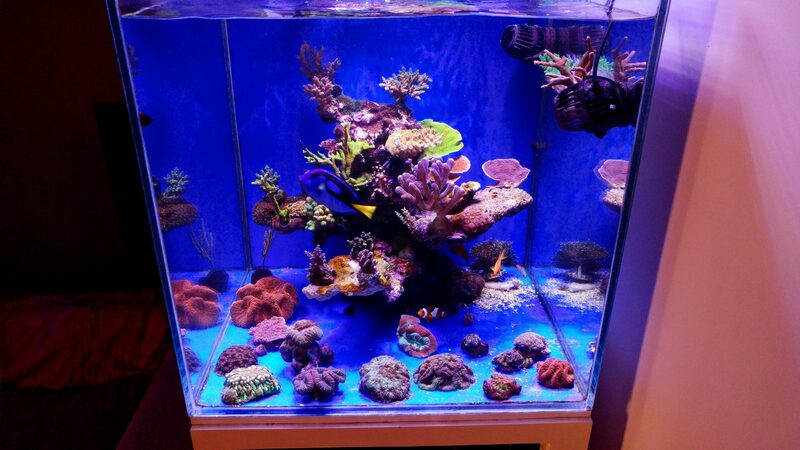 Beautiful cube Aquarium display from Greece under Atlantik Compact. 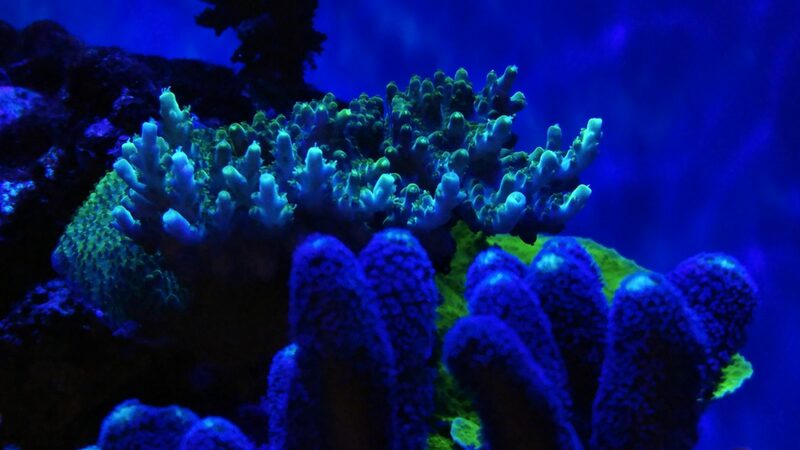 Last March we posted an article about about Kostas cube reef aquarium. We have exciting updated info and photos that Kostas was very kind to send to us and today we want to share with you. 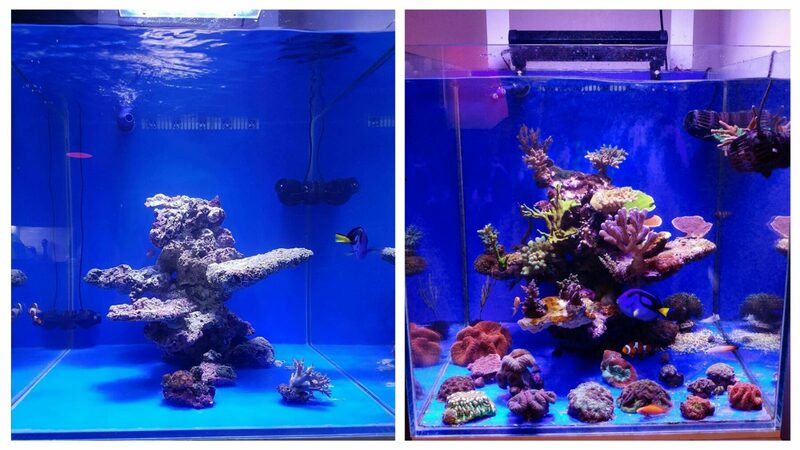 Kostas has set a cube tank 64 x 64 x 64 cm / 25″ x 25″ x 25″ with LPS and SPS corals. 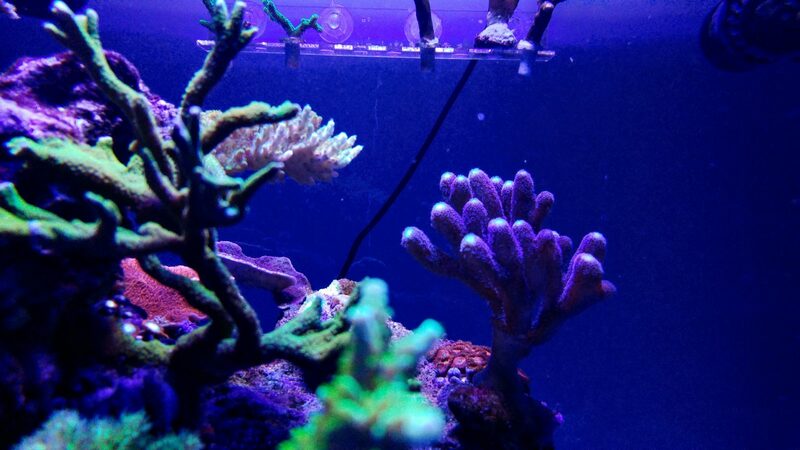 He is running an Atlantik Compact v2.1 unit to prevent heating and get the right amount of light needed for his corals. 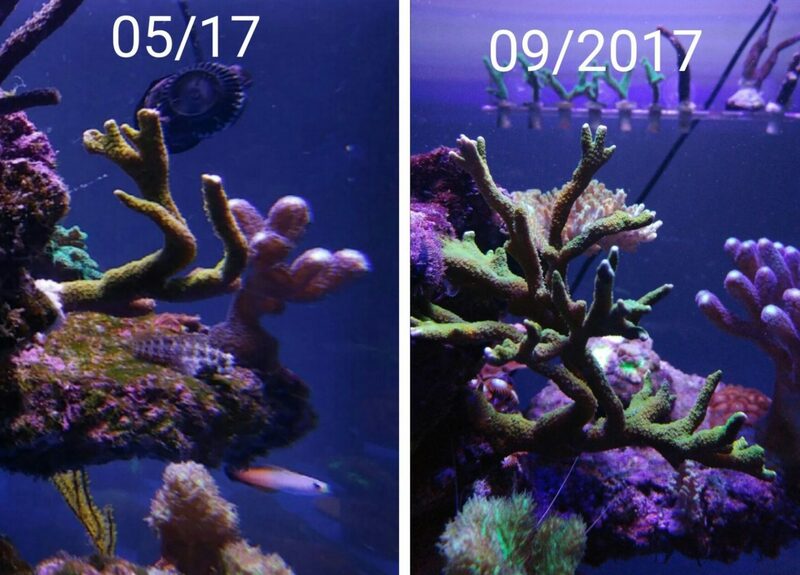 The tank is also running a wave maker. “Hello from Athens, Greece. My name is Kostas. I have been in touch in the past. 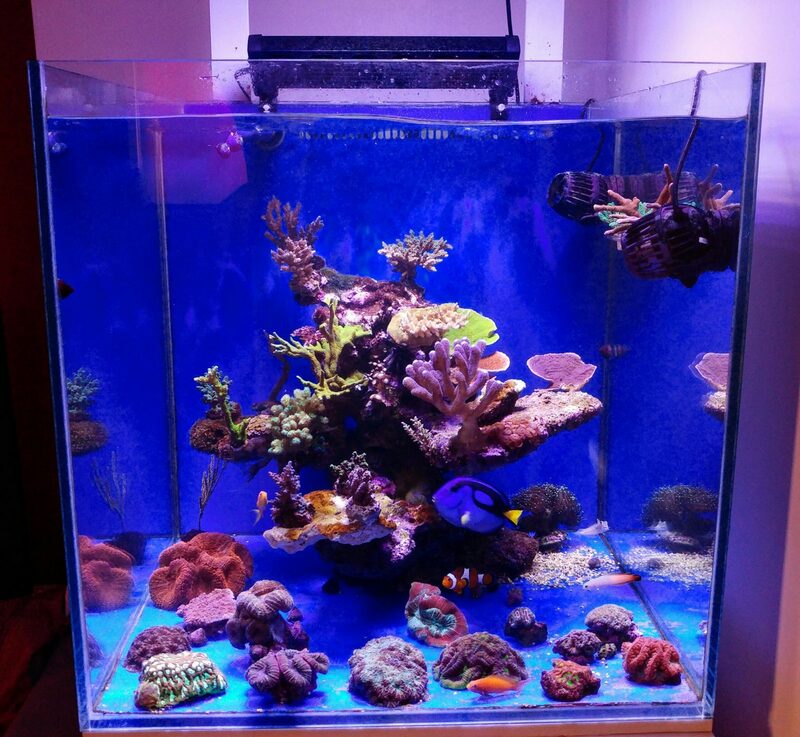 I have a 250l cube tank with an Orphek Atlantik Compact running about a year. The results are incredible. (see photos attached)”. 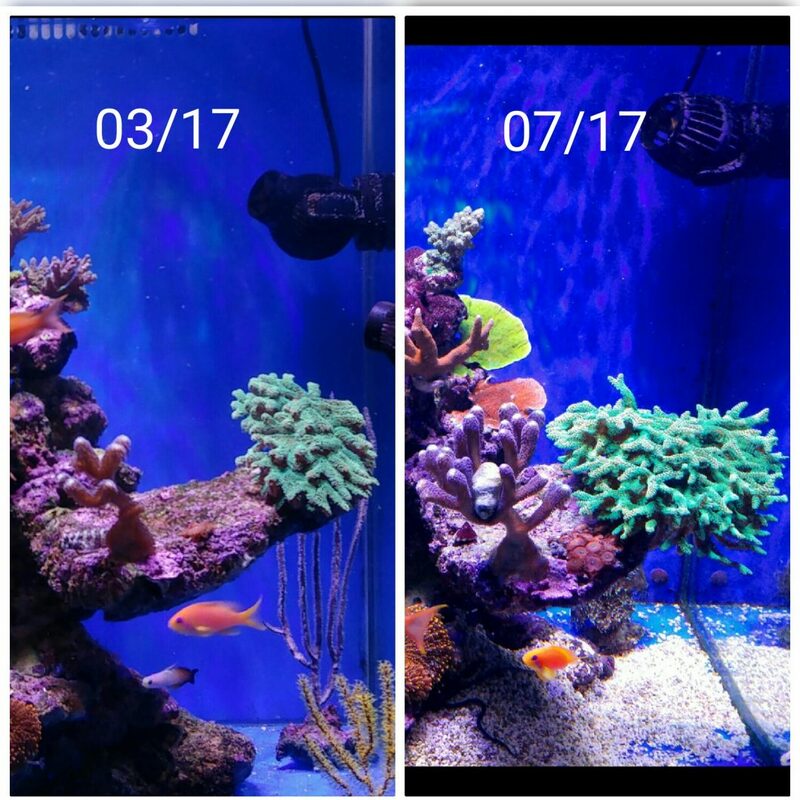 “My tank was set up last November. I run the Orphek Atlantic Compact from the begining. 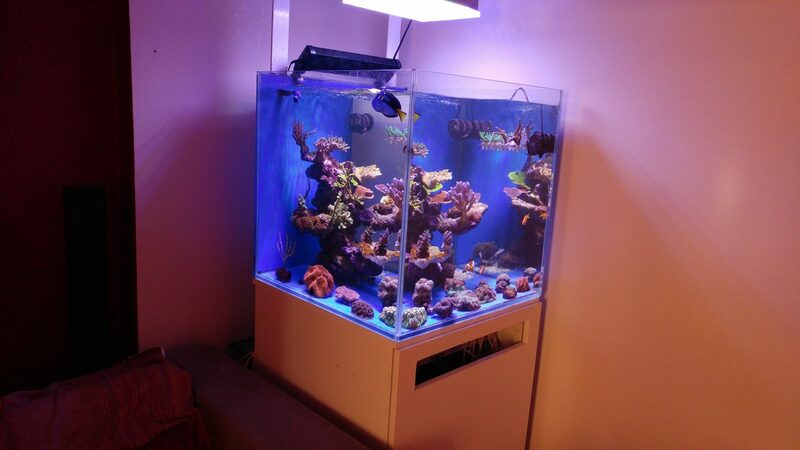 My tank dimensions are 64cm x 64cm x 64cm. I also have a sump(about 85litres), which includes basically a skimmer, a biopellet reactor, a gfo reactor and a dosing pump. 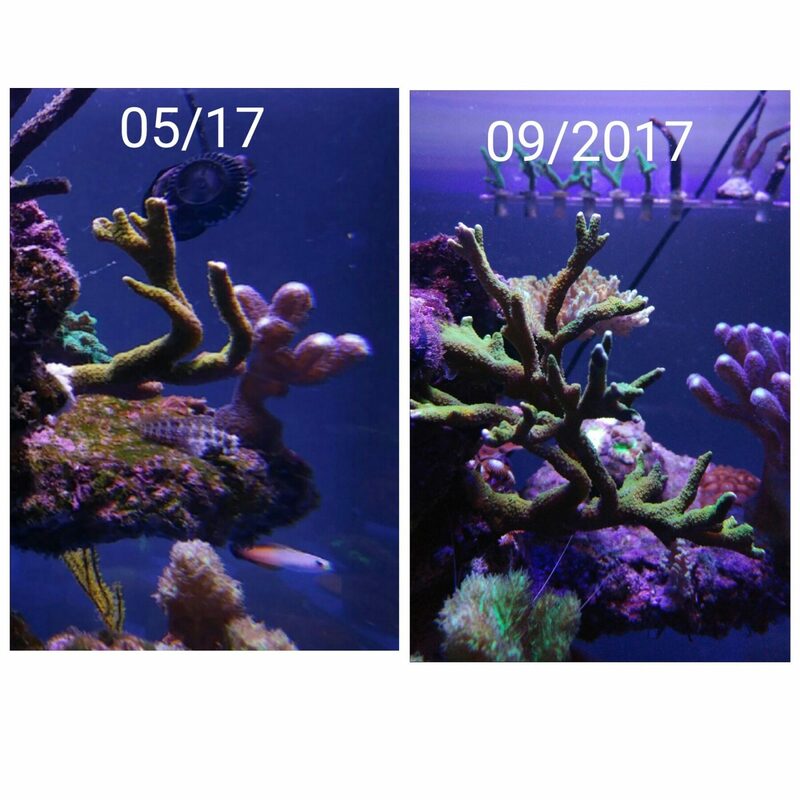 Most of the corals were introduced in the aquarium on February-March of 2017, where I started seeing a bit of difference in growing about a month later. Regarding the new Atlantik V4 Compact, I will have to postopone the order until the first few months of 2018, when the new tank will be ready. 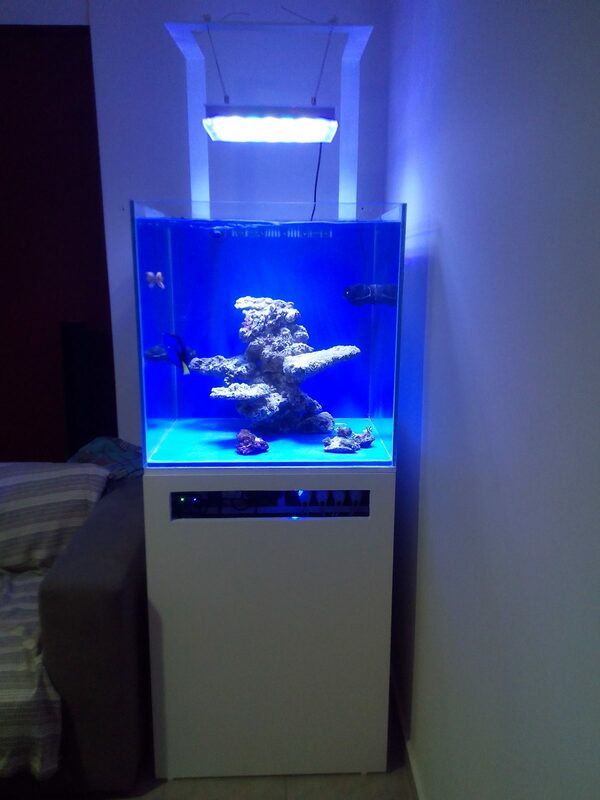 By the way its a very good price and I wouldn’t even thinking buying another led for my new tank. 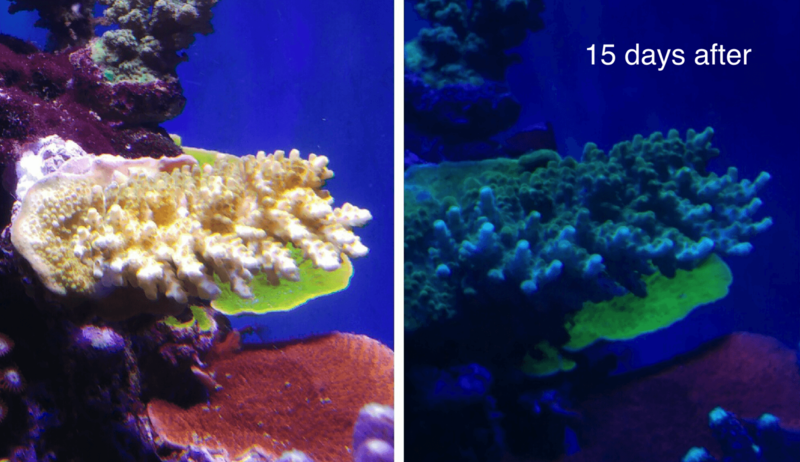 Attached you will find more photos of the aquarium and the corals growth. 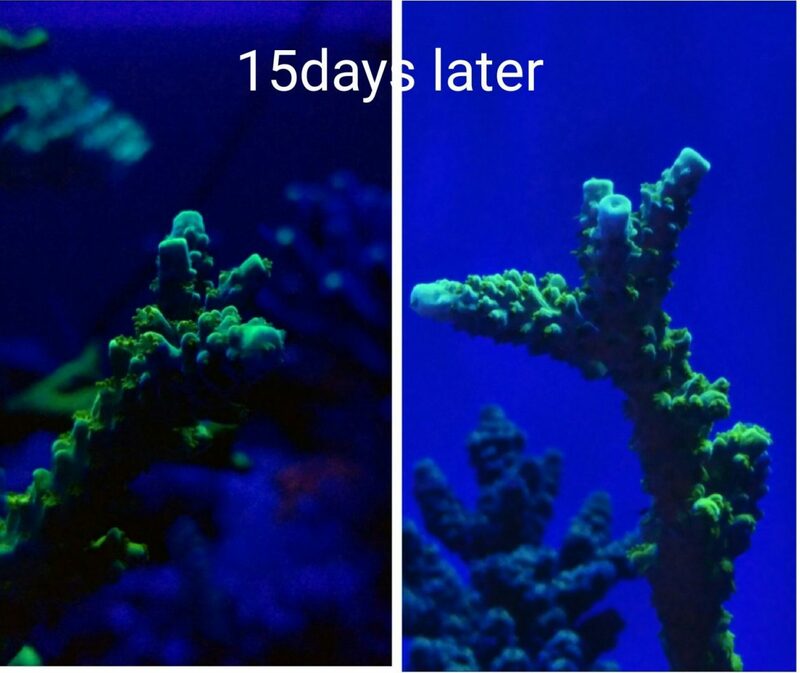 Check here the outstanding coral growth results he is getting with his Orphek light! Orphek has launched a new version of the Atlantik V4 Compact – find here all about it! New Orphek Atlantik V4 Compact Reef LED Lighting For Optimal Coral Growth and Color. For Aquarium size of 39? x 27?/ 100 x 70cm. 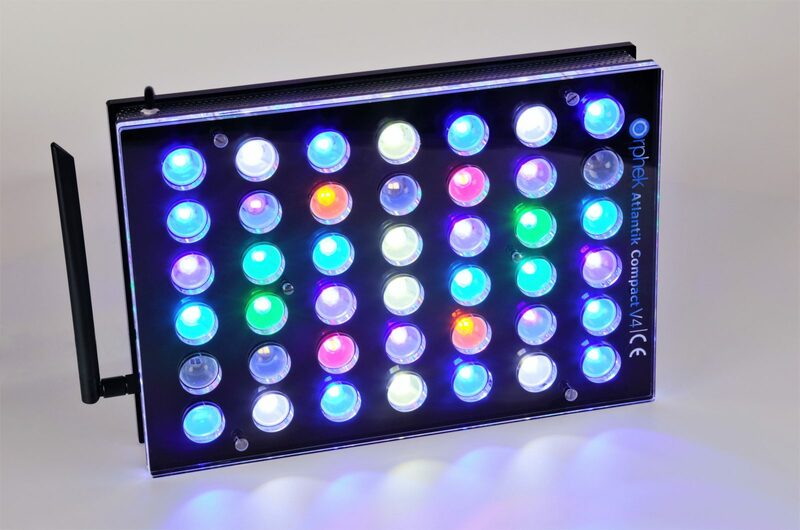 New 42 customized high efficiency 5w Dual-Chip power LEDs – total of 84 individual LEDs. Why the New ATLANTIK V4 /ATLANTIK V4 Compact is the best product Orphek has produced today? Parakaló (?????????) 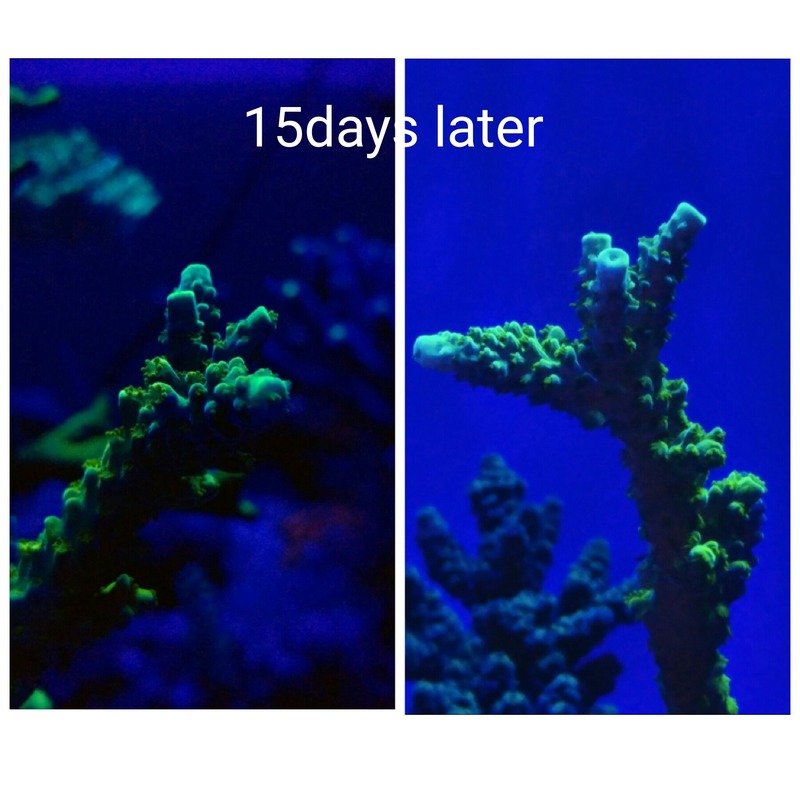 Kostas and we hope you will keep us posted with the development of your corals! 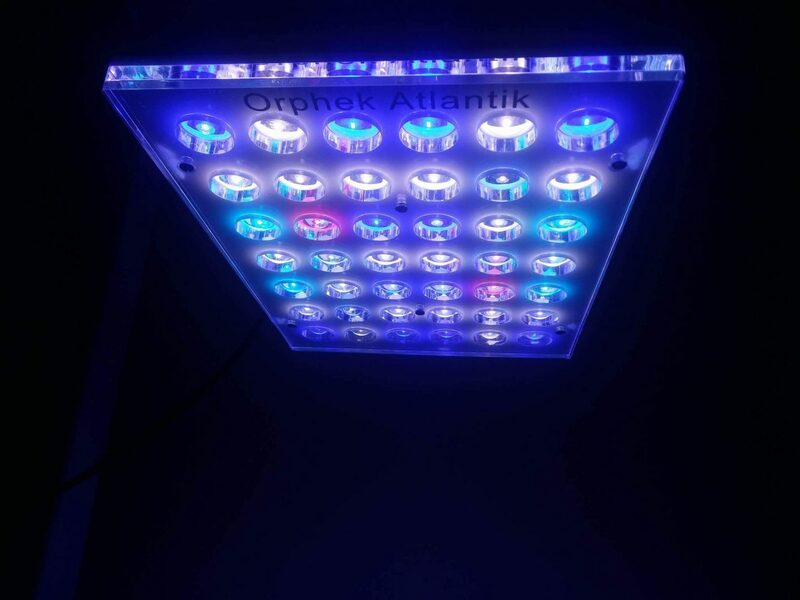 Also if you wish to know more details about our Atlantik Compact unit, Email us to contact@orphek.com and we will help get you started! You can also reach us by filling our form.